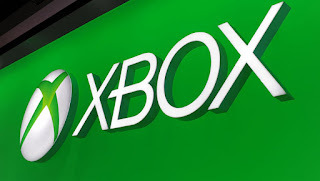 Microsoft on Wednesday launched a subscription service for Xbox, letting players pay a monthly fee for access to a library of video games for its console. People who already subscribe to an Xbox Gold service can pay an extra $10 monthly for the new “Game Pass,” which will be available at the same cost to console users with Live accounts in any of 31 markets around the world at the start of June, according to product marketing director Parimal Deshpande. “At launch and beyond, our goal is to make sure there are great games to play for all gamers,” Deshpande said in a blog post. Microsoft revealed plans for the Game Pass earlier this year and tested it with users who were part of in an “insider” program. The subscription service, using the Netflix model of monthly subscriptions for instant online access, will offer some 100 games that can be played on Xbox One or prior-generation Xbox 360 consoles, according to Deshpande. People will be enticed to try to Game Pass with 14-day free trials. Players subscribing to the service will be able to download games to consoles for optimal performance and be offered discounts to buy them for keeps. A YouTube video about the service had logged more than 278,000 views within 24 hours of being posted. Markets where Xbox Game Pass is launching included Australia, Britain, France, Hong Kong, India, and North America. Sony makes a library of videogames available as part of a subscription service for PlayStation consoles, the latest generation of which has outsold Xbox One by about 2-to-1 according to market trackers.